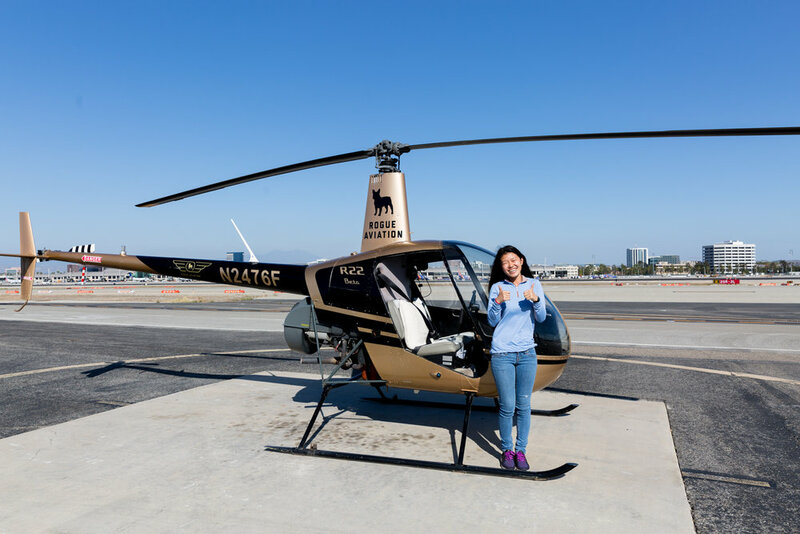 For Cathy Zhang, flight is freedom, and she is eager to fulfill a lifelong goal. We are proud of her dedication and look forward to her future in aviation. Here is what Cathy had to share about her passion for flying and why she is getting her pilot’s license with Rogue Aviation! WHY ARE YOU GETTING YOUR PILOT’S LICENSE? I have always wanted to fly since I was little. However, I didn’t really have a chance when I was in China because there were not many opportunities out there besides law enforcement or military. So, after coming to the United States to study mechanical engineering, I decided to actually pursue my dream. WHAT INSPIRES YOU TO FLY? The freedom, the feeling when I am up in the air flying, is just simply amazing. As the person who is in control of a thousand pound machine in the air rather than as a passenger, I feel a certain responsibility to uphold myself to a higher standard. I think going through the process of being a pilot really taught me about being responsible and not being afraid to step out of my comfort zone. Follow our flight school’s journey on Instagram at @rogueaviation and don’t forget to subscribe to our email list at the bottom of this page to get updates like these, and more, straight to your email box!